Do you love a good game of D&D? 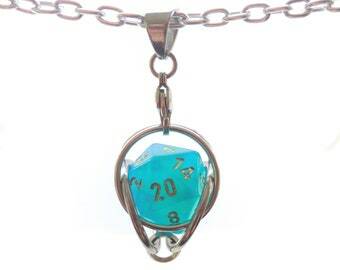 Do you need a dice on you at all times? Then you need this D20 keychain. 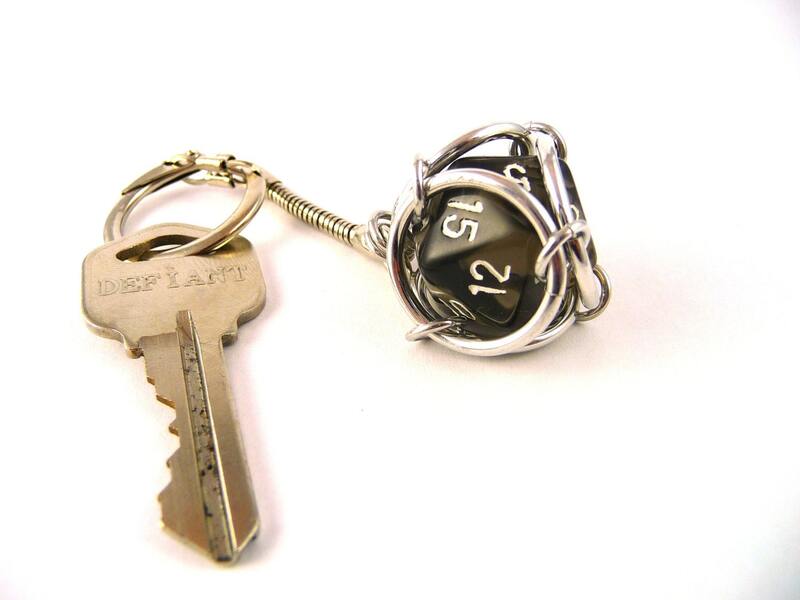 You select the color die and it will be fitted into durable stainless steel jump rings and fashioned into a keychain. Dice can be removed and swapped for other dice (in case a misbehaving dice needs to be put into dice jail).